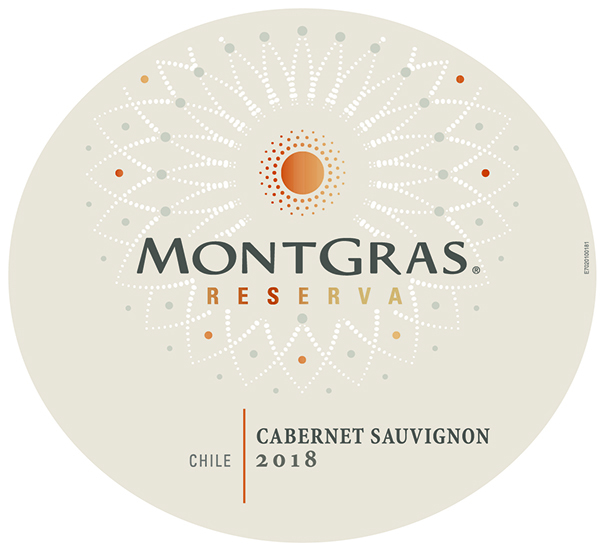 MontGras Reserva is our broadest and most diverse range of wines, coming from Chile’s best origins. The grapes are carefully selected to produce aromatic, fruit-forward wines, rich in fruit that are round and pleasing in the mouth. AGING: 80% of the wine had oak contact for 6 months. Bright with an intense ruby-red colour. The nose reveals a ripe plum and raspberry scent that is accompanied by complex notes from the ageing. 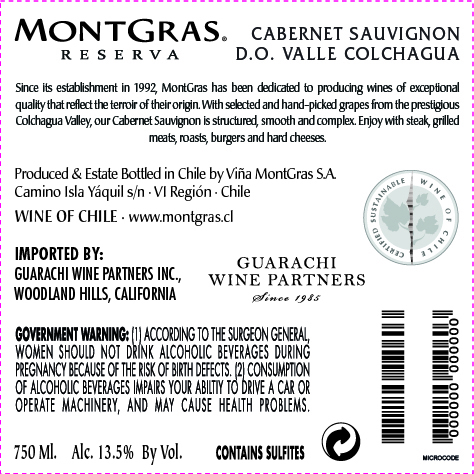 It has good volume in the mouth, with round tannins and a soft texture. This is a flavourful wine with notes of ripe plums and black cherries making it feel juicy, almost edible. The finish is long and there are soft, sweet notes of vanilla in the persistent aftertaste. This wine pairs very well with red meat, whether it is grilled, roasted or casseroled. It also goes perfectly with manchego or provolone cheese.